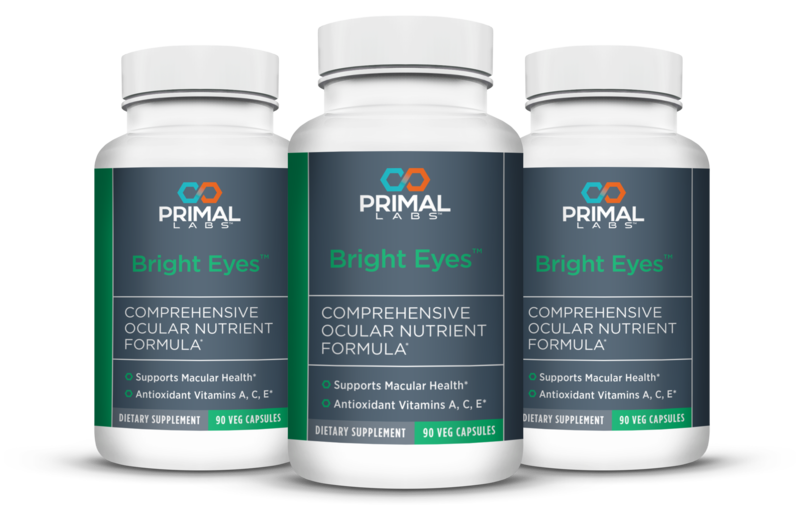 Bright Eyes is widely recognized as one of the best eye he..
With VIP AutoRefill you save 10% on this order and 10% on all future orders! Is it affecting your eyesight right now? That depends. Only Lutein gives your eyes’ fine blood vessels and delicate tissues a natural shield. * It’s the primary ingredient of Bright Eyes. 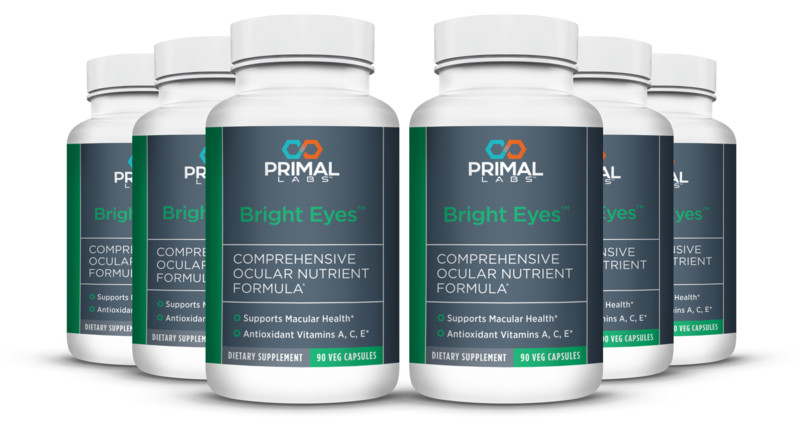 A critical pigment found in the ocular tissues, Lutein actually blocks UV light from reaching your retina. * Meanwhile, your body can’t create Lutein. You have to ingest it. 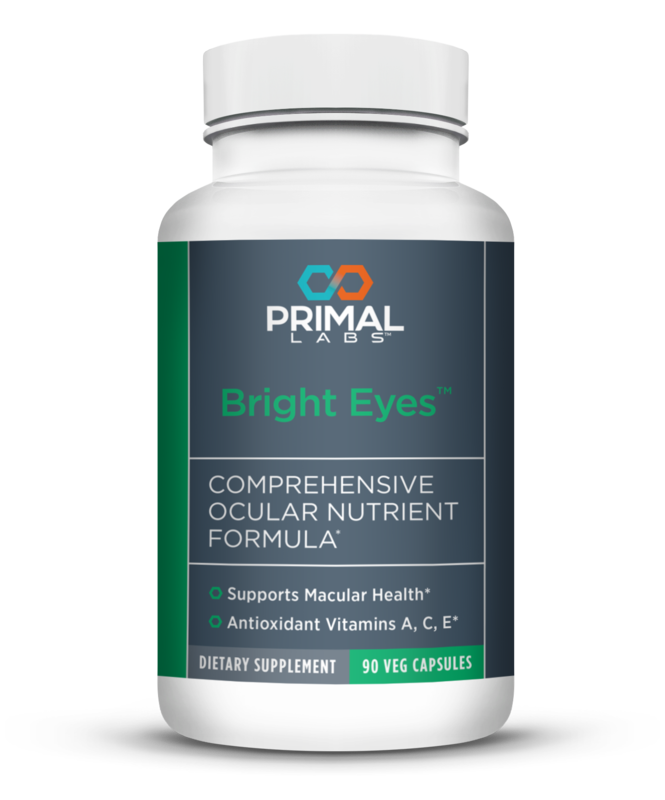 Bright Eyes guarantees your eyes the necessary 10mg of available Lutein. 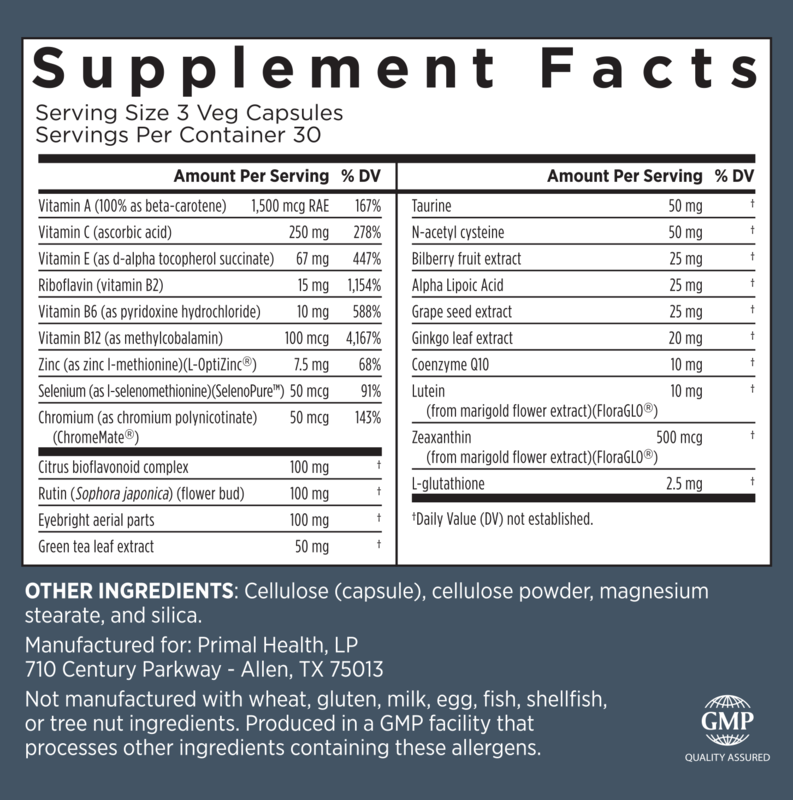 What’s more, it’s a powerful anti-oxidant with a potent mix of Green Tea Extract, Alpha Lipoic Acid and Grape Seed Extract. For every $100 you spend, we’ll knock $25 off your bill. Abidi A, Gupta S, Agarwal M, Bhalla HL, Saluja M. J Clin Diagn Res. 2014 Aug;8(8):HC19-24. Aggarwal BB, Sundaram C, Malani N, Ichikawa H. Adv Exp Med Biol. 2007; 595:1-75. Agthong S, Kaewsema A, Charoensub T. Exp Neurobiol. 2015 Jun;24(2):139-45. Alwi I, Santoso T, Suyono S, Sutrisna B, Suyatna FD, Kresno SB, Ernie S. Acta Med Indones. 2008 Oct;40(4):201-10. Badmaev V, Majeed M, Prakash L. J Nutr Biochem. 2000 Feb;11(2):109-13. Belcaro G, Cesarone MR, Dugall M, Pellegrini L, Ledda A, Grossi MG, Togni S, Appendino G. Altern Med Rev. 2010 Dec;15(4):337-44. Chainani-Wu N. J Altern Complement Med. 2003 Feb;9(1):161-8. Chandran B, Goel A. Phytother Res. 2012 Nov;26(11):1719-25. Chuengsamarn S, Rattanamongkolgul S, Luechapudiporn R, Phisalaphong C, Jirawatnotai S. Diabetes Care. 2012 Nov;35(11):2121-7. Chuengsamarn S, Rattanamongkolgul S, Phonrat B, Tungtrongchitr R, Jirawatnotai S. J Nutr Biochem. 2014 Feb;25(2):144-50. DiSilvestro RA, Joseph E, Zhao S, Bomser J. Nutr J. 2012 Sep 26; 11:79. Durgaprasad S, Pai CG, Vasanthkumar, Alvres JF, Namitha S. Indian J Med Res. 2005 Oct;122(4):315-8. Gupta SC, Patchva S, Koh W, Aggarwal BB. Clin Exp Pharmacol Physiol. 2012 Mar;39(3):283-99. Kalpravidh RW, Siritanaratkul N, Insain P, Charoensakdi R, Panichkul N, Hatairaktham S, Srichairatanakool S, Phisalaphong C, Rachmilewitz E, Fucharoen S. Clin Biochem. 2010 Mar;43(4-5):424-9. Khajehdehi P, Zanjaninejad B, Aflaki E, Nazarinia M, Azad F, Malekmakan L, Dehghanzadeh GR. J Ren Nutr. 2012 Jan;22(1):50-7. Kunnumakkara AB, Bordoloi D, Padmavathi G, Monisha J, Roy NK, Prasad S, Aggarwal BB. Br J Pharmacol. 2016 Sep 17. Kuptniratsaikul V, Dajpratham P, Taechaarpornkul W, Buntragulpoontawee M, Lukkanapichonchut P, Chootip C, Saengsuwan J, Tantayakom K, Laongpech S. Clin Interv Aging. 2014 Mar 20;9:451-8. Lao CD, Ruffin MT 4th, Normolle D, Heath DD, Murray SI, Bailey JM, Boggs ME, Crowell J, Rock CL, Brenner DE. BMC Complement Altern Med. 2006 Mar 17; 6:10. Lopresti AL, Maes M, Maker GL, Hood SD, Drummond PD. J Affect Disord. 2014;167:368-75. Lopresti AL, Maes M, Meddens MJ, Maker GL, Arnoldussen E, Drummond PD. Eur Neuropsychopharmacol. 2015 Jan;25(1):38-50. Nakagawa Y, Mukai S, Yamada S, Matsuoka M, Tarumi E, Hashimoto T, Tamura C, Imaizumi A, Nishihira J, Nakamura T. J Orthop Sci. 2014 Nov;19(6):933-9. Panahi Y, Khalili N, Hosseini MS, Abbasinazari M, Sahebkar A. Complement Ther Med. 2014 Oct;22(5):851-7. Panahi Y, Sahebkar A, Parvin S, Saadat A. Ann Clin Biochem. 2012 Nov;49(Pt 6):580-8. Pulido-Moran M, Moreno-Fernandez J, Ramirez-Tortosa C, Ramirez-Tortosa M. Molecules. 2016 Feb 25;21(3):264. Sahebkar A, Mohammadi A, Atabati A, Rahiman S, Tavallaie S, Iranshahi M, Akhlaghi S, Ferns GA, Ghayour-Mobarhan M. Phytother Res. 2013 Dec;27(12):1883-8. Sanmukhani J, Satodia V, Trivedi J, Patel T, Tiwari D, Panchal B, Goel A, Tripathi CB. Phytother Res. 2014 Apr;28(4):579-85. Sharma RA, McLelland HR, Hill KA, Ireson CR, Euden SA, Manson MM, Pirmohamed M, Marnett LJ, Gescher AJ, Steward WP. Clin Cancer Res. 2001 Jul;7(7):1894-900. Shoba G, Joy D, Joseph T, Majeed M, Rajendran R, Srinivas PS. Planta Med. 1998 May;64(4):353-6. Suskind DL, Wahbeh G, Burpee T, Cohen M, Christie D, Weber W. J Pediatr Gastroenterol Nutr. 2013 Mar;56(3):277-9. Wongcharoen W, Jai-Aue S, Phrommintikul A, Nawarawong W, Woragidpoonpol S, Tepsuwan T, Sukonthasarn A, Apaijai N, Chattipakorn N. Am J Cardiol. 2012 Jul 1;110(1):40-4. Yang YS, Su YF, Yang HW, Lee YH, Chou JI, Ueng KC. Phytother Res. 2014 Dec;28(12):1770-7. Zhang D, Huang C, Yang C, Liu RJ, Wang J, Niu J, Brömme D. Respir Res. 2011 Nov 29; 12:154. Zhang F, Altorki NK, Mestre JR, Subbaramaiah K, Dannenberg AJ. Carcngns. 1999 Mar;20(3):445-51. Zhou H, Beevers CS, Huang S. Curr Drug Targets. 2011 Mar 1;12(3):332-47. © 2016 Copyright Primal Labs. All rights reserved.